Iryna Dronova and Valeri Vasquez. 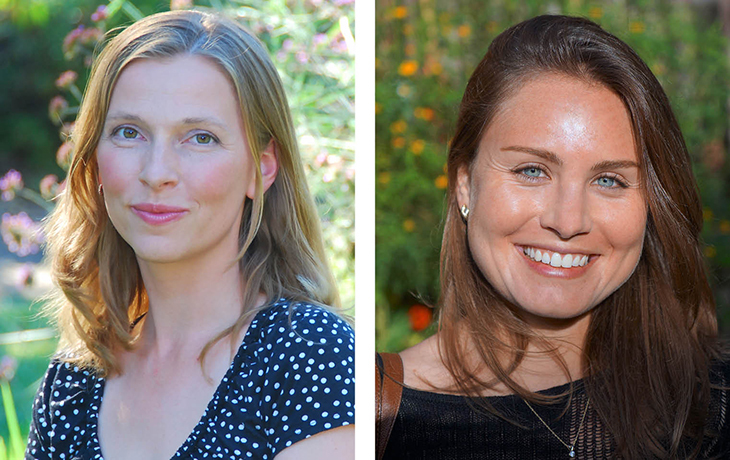 Two members of the College of Natural Resources community have been selected for a high-profile international initiative bringing together women in science to influence policy and decision-making in environmental issues. Valeri Vasquez, a PhD student in the Energy and Resources Group, and Iryna Dronova, an ESPM alumna and current assistant professor in the College of Environmental Design, will be among 95 women representing 28 countries next year for the Homeward Bound leadership program, 12-month intensive training for women in Science, Technology, Engineering, Math, Medicine (STEMM). The goal of Homeward Bound is to create a global community of women in STEMM who are in a position to advance collaborative scientific causes and female leadership within their respective disciplines. Through workshops, lectures, networking, and excursions, the program aims to foster (1) leadership development (2) strategic capability (3) visibility and science communication and (4) science collaboration among the women selected, as well as among the entities that they represent.